As my three or four readers know, I write a weekly political opinion essay based on events and headlines from the seven days leading up to each article’s publication. Then I post that week’s link on a carefully selected set of social media sites. OK, they’re not all that carefully selected: the Big 2 plus LinkedIn. I’m safe with LinkedIn because I don’t depend on that site for vocational networking. I use it strictly for avocational networking. This friend was politically conservative when I knew her, but that was long before Donald Trump was even a gleam in Mitch McConnell’s eye. Presently I conclude she falls into one of four categories: 1) an original GOP never-Trumper; 2) a Trump voter with buyer’s remorse; 3) a Trump voter who currently sometimes supports him, sometimes not; or 4) a Trump voter and current solid supporter. Anyway, Option 3 people and the sentiments stated in my friend’s message are what I want to talk about in this essay. Let’s dissect those sentiments, sentence by sentence. She makes it sound like after all these years I’m still shoveling large piles of equine excrement, continually searching for the pony. First, I have no illusions that my righteous feces-dredging will play much of a role in finding the pony, i.e., bringing down Donald Trump. As realistically alluded to in the opening sentence, I probably have three or four readers, and they most certainly already agree with my anti-Trump stance. I know I’m not changing any MAGA minds. Second, I enjoy writing and honing my skills. I’ll probably get another obscure, poorly selling book out of it. (Instead of a million-seller, I have a million in the cellar.) 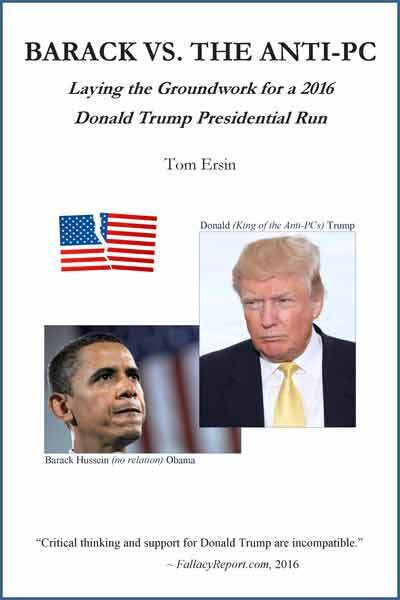 Go to Amazon to check out my first obscure, poorly selling book, Barack vs. the Anti-PC: Laying the Groundwork for a 2016 Donald Trump Presidential Run. I can boast proudly that it was picked up by a small publisher — a step up from being self-published — and has sold 18 copies since its January 2017 release. Third, writing about the absurdity of Donald’s presidency helps organize my thoughts in preparation for those holiday get-togethers with MAGA relatives. Oh wait — my wife, Norma, has forbidden me to bring up politics at these gatherings in the name of family harmony. Damn. I did get away with modeling my Colin Kaepernick No. 7 jersey at our Thanksgiving celebration last year. I made my initial clarification of the Black Lives Matter movement, pointing out the colossal imbalances in police brutality toward (and killings of) men of color versus men of Caucasia. Then I got to address the “All Lives Matter” relatives, those in-the-closet bigots. Then the “White Lives Matter” blatant racist uncle spoke up, and I nailed him to the wall — thanks to having had my thoughts organized by my past writings. What is this supposed to mean? Leave politics behind? To me, it sounds like giving up. First, I don’t disdain people who choose not to be addicted to the news cycle. I understand that for most of us it is overwhelming in the Trump era. (CNN’s Don Lemon recently compared consuming political news these days to drinking from a fire hose.) I simply say to those people, be prepared to get caught up when events call for it. Elections come around every two years. Impeachments and presidential indictments are less often, and unscheduled, but they will still call for your attention when they occur. But give up my interest in politics? Politics is like the NFL for me. Though I might be giving up the NFL next season depending upon Colin Kaepernick’s professional football employment status and the developments surrounding the team owners’ decision to outlaw respectful public kneeling during the national anthem. Many sports pundits predict that rather than quelling the controversy, the owners’ new rule will invite more controversy and protests. I can’t wait. Thanksgiving Day Lions game — I got my No. 7 jersey. Involvement in politics, especially if you’re on the right side like me, will always be important. I do my little part by keeping my three or four like-minded readers informed. Additionally, getting under the skin of MAGA crowd members who see my social media entries is particularly satisfying. Of course, they never read the full commentaries, but the teaser paragraphs I post often spark their ire. On a much larger scale, participating in causes such as Women’s March and pro-Affordable Care Act activism actually does affect outcomes. The record-setting Women’s March, a general protest of Trumpism held on the day after Inauguration Day — before we even knew how bad it could get — set the standard and tone for fighting the horrifying policies of this administration. Nationwide protests against Obamacare repeal (including one of the Detroit area events Norma and I attended) prompted three Republican senators to vote against its demise and saved it. Massive national outrage at Trump’s inhumane migrant family separation policy ultimately shamed the president into signing an executive order reversing his policy. And this president normally cannot be shamed. When Donald ultimately is cornered by the Russia-corruption probe and finally moves to fire Special Counsel Robert Mueller or Deputy Attorney General Rod Rosenstein, there is no doubt in my mind that people will rise up again and force the GOP-controlled Congress to stand up to the president. 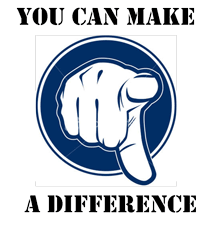 In this way we make a difference, because we can make a difference. I take this to mean that just because the other side won and is having their way with policy — because “elections have consequences” — I shouldn’t bellyache. The pendulum is just doing its normal swinging. The messenger is saying here that I shouldn’t freak out simply because the political opposition won this time. But this is classic, galactic false equivalence. A President Jeb Bush, Marco Rubio, or John McCain would have been an example of the pendulum swinging the other way, of simply the political opposition winning this time. This is Donald Trump, however: the most vile, egomaniacal confident artist ever to befoul a television screen. Without illegal Russian collaboration and the campaign’s intense working of the (FBI) refs, forcing them to overcompensate in his favor, Mr. Trump would not have been elected. The Donald finishing out two terms or even one term as president will do harm to America that will take generations to repair. It is not OK, and the country is not OK. No, the world is not literally ending. But if we fail to stop Trump, the United States and its government, as we know them now, will be severely damaged. Whether or not they will be salvageable remains an open question. At this point, speaking of “it happens in little increments,” I also have to mention Amy Siskind’s new book and website, The Weekly List: This Is How Democracy Ends (theweeklylist.org). Considering Donald Trump is still president, this is hallucinatorily (yeah, I made up a new word) Pollyanna-ish. What makes me feel alive is fighting evil, e.g., the current U.S. chief executive, even if in my own minute way. By encouraging my three or four readers to stay informed and involved, I’m doing something. And I’m sorry; I cannot enjoy life knowing that I’m not contributing, at least in a small way, to the defeat of an autocratic, plutocratic, and kakistocratic administration that wants to change our way of life and return us to the bad old days of 1950s white majorities, virtual segregation of the races, unrestricted freedom to be racist and misogynist, and women knowing their place. EPA Administrator Scott Pruitt has “resigned” his office. I use resigned in quotation marks because Pruitt only left once Trump finally decided his crimes were attracting too much attention; he was making the president look bad. And that is a high threshold. Remember what it took to get Donald to cease the inhumane practice of separating migrant families at the border? It wasn’t his humanity. Of course, as most pundits agree, the real scandal here is how long Scott Pruitt hung on. At last count, Pruitt was under investigation for 15 instances of corruption and misuse of his office, all uncovered and publicly reported by the media. Donald Trump loved Scott’s policies and admired his get-what-you-can-while-the-gettin’s-good philosophy. Donald was not about to have the enemy of the people, the press, telling him who he hires and fires. Ultimately, Pruitt’s exposed behavior simply, finally crossed the line from helping Donald look tough and cocky for his base, to hurting the president’s political standing. There were no moral or ethical considerations of conscience. It was pure selfish, self-enrichment politics: no muss, no fuss. It was time for Pruitt to go to protect Trump’s golden goose. The firing of Scott Pruitt proves the point I have been making throughout this piece. President Trump never would have pushed Pruitt out of office without citizen activism and the stellar investigative reporting of American mainstream news media. Note the viral video from a few days ago, of a young mother holding her toddler while scolding an invertebrate Scott Pruitt in a restaurant for denying climate change, eliminating environmental protections, and being the grifter that he is. Next thing you know, he’s out. We make a difference, because we can make a difference.